Manor Walks, Cramlington, is inviting you to join it’s illuminating seasonal celebrations on Saturday 25th November between 12noon and 4pm. The event, held in association with Heart FM and Cramlington Town Council, will feature a wide variety of festive family fun for all ages, including live music from brass and steel bands, mesmerising light-up stilt walkers, face painting, dance performances and the exciting live final of Manor Walks’ singing competition, A Star is Born. Heart FM’s Tom Campbell from Heart FM will host the switch on and visitors can have-a-go in the radio station’s photo booth and glitter station. Enjoy a special meet and greet with the Snow Sisters and their snowman friend including a ‘Let it Go’ sing-a-long with the Snow Queen herself. Plus, children can visit Santa’s Grotto for FREE where they will meet Santa’s elves from his North Pole workshop, find out if they are on the naughty or nice list and take home their very own bag of magical reindeer dust – to save especially for Christmas Eve. The yuletide event marks the start of Manor Walks’ Christmas celebration, including Santa’s Grotto and a variety of free, fun festive craft workshops which will run throughout November and December. There is something for everyone to enjoy at Manor Walks this Christmas. Plus, free parking will be available with additional overflow throughout the festive period. 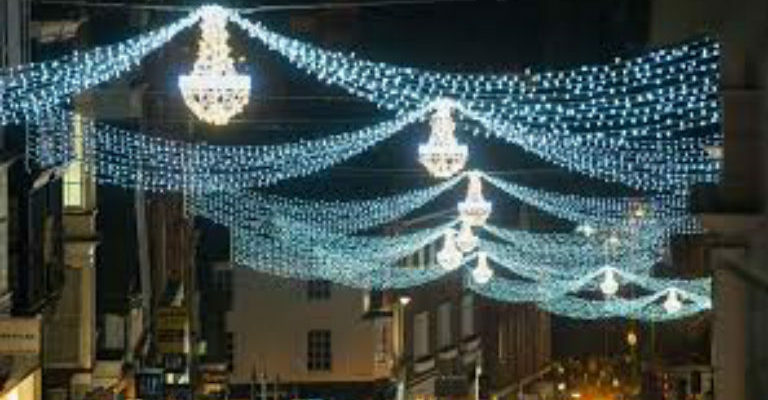 For more information about Manor Walks’ Christmas events visit, www.manorwalks.co.uk.